In the mid-90s Stanley Kubrick sought the help of several writers and directors in an attempt to bring his dream project, A.I. Artificial Intelligence, to life. Unfortunately for the legendary filmmaker none of them were able to materialise his project and it lay dormant in development hell for a while until Steven Spielberg, Kubrick’s blue-eyed boy, entered the picture. He was handed over the project that many believed to have been done-and-dusted. The way Spielberg executed Kubrick’s vision can only be described as a cinematic miracle. Shehzad Kashmiri, one of the five directors to have worked on Bin Roye, says that he found himself in a similar situation when he walked into the film after Haissam Hussain left the director’s chair for unknown reasons. 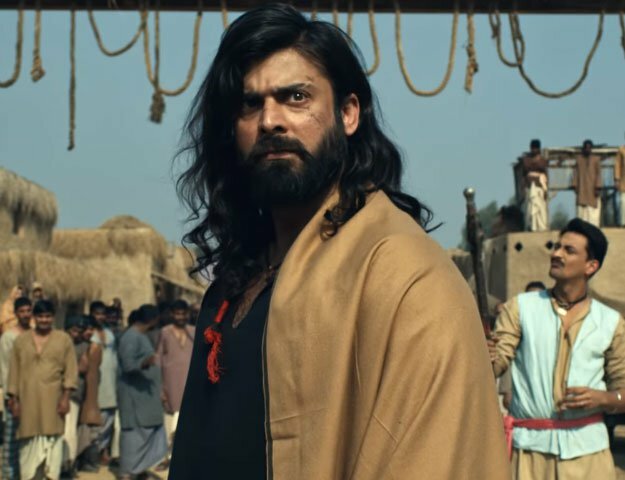 “Almost five per cent of the film had been shot and I remember receiving a call from Momina Duraid asking me to come on board for the project,” he told The Express Tribune. Having worked extensively with Momina on television serials, he shared an excellent rapport with her and didn’t have any second thoughts about joining the film. He took the next flight to California to be a part of the crew — and the rest as they say is history. “Obviously there were a few nerves in becoming a part of such a major project but all of those were settled down once I started filming,” he said. Apart from Momina and Haissam, Kashmiri, was also accompanied by Asim Raza, Sarmad Sultan Khoosat as directors at particular points in the film. He said that despite his late entry, he eased into the role of the director quite smoothly. “I’ve previously worked alongside Momina on many projects. Even with Humayun Saeed and Mahira Khan. We share a brilliant relationship. I know Mahira from Humsafar for which I was a director of photography (DP) and I’ve also worked extensively with Humayun throughout my career,” he said. He said that both of the directors, Asim Raza and Sarmad Sultan Khoosat, have added value to the film by translating their visions through the songs so seamlessly that it wouldn’t seem out-of-sync at all. Kashmiri has also worked as a cinematographer for almost a decade-and-a-half. His experience working as a DP seems to have helped in capturing some of the most scenic landscapes on celluloid. “My background did help me as I already knew what sort of visuals I wanted from my DoP. I also had one of the best and most qualified cinematographers of Pakistan, Farhan Alam as part of my team,” he said. Despite of all his hard work on the film, only time will tell whether Kashmiri’s late arrival will have the same impact that Spielberg’s had on Kubrick’s A I Artificial Intelligence.